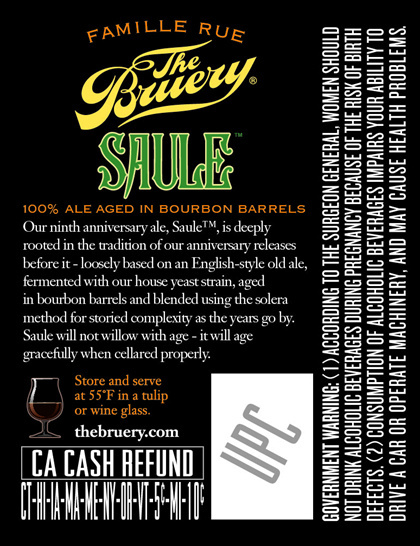 The ninth anniversary ale, Saule, follows in the footsteps of The Bruery's anniversary releases before it, which are loosely based on an English-style old ale. 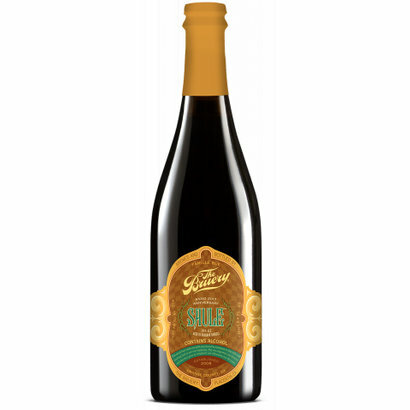 The Bruery Saule Saule is French for “willow”, a traditional nine-year anniversary gift. The ninth anniversary ale, Saule, follows in the footsteps of our anniversary releases before it, which are loosely based on an English-style old ale, fermented with our house yeast strain, aged in bourbon barrels and blended using the solera method. This means that a portion of each anniversary ale is saved in oak barrels and blended in with the next year’s production, providing more complexity and depth of character as the years go by. The result is layered in robust and complex flavors of toffee, caramel, dark fruit, vanilla and oak.